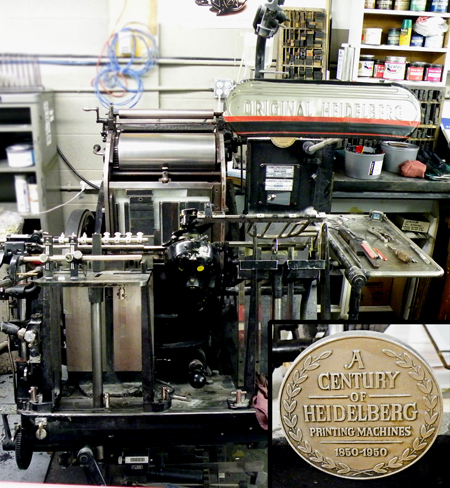 I have a 1950 10X15 Heidelberg Windmill Letterpress available for sale. It has the 1850-1950 century plate on it (as shown as my avatar). It breaks my heart to have to let this press go. It is in excellent operating condition. The only damage is that the rollers have some scoring (someone in the press’s past life left the rollers on when perfing is my guess). Located in Calgary, Alberta, Canada. Open to reasonable offers. 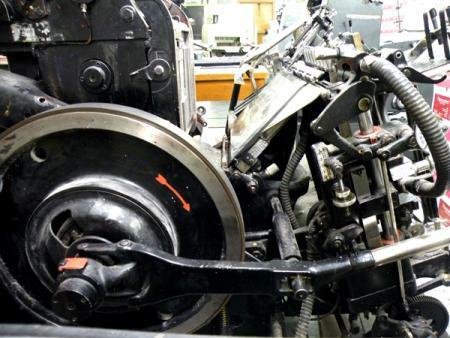 I want to see this press go to a good home. Yes, you can come and see it in operation. 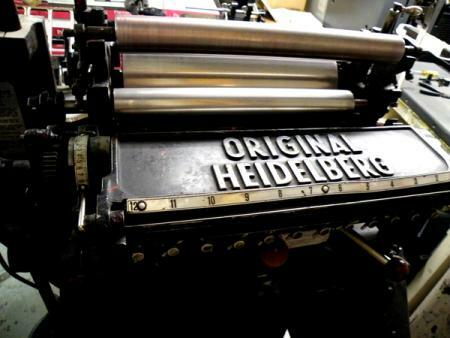 Press needs to be moved by mid-November 2009.